Open a new tab, go to Google, and type in the core subject around which your business revolves (e.g., “travel in Washington state”). Go ahead; I’ll wait. Can you find your brand’s website on the first page of search results? Maybe on the second or third? If you’re disappointed with the result, that doesn’t necessarily mean you have a bad website, but rather, you may be missing something valuable that Google’s search engine algorithm is looking for. Getting to know the Google algorithm will allow you to craft high-quality content for which Google will reward you with a higher search page rank. 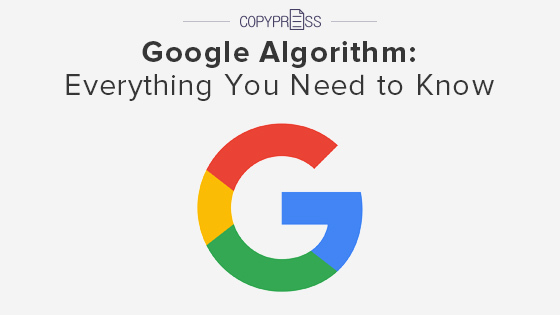 Here’s everything you need to know about the Google algorithm. Google’s algorithm is the reason that, when you have a question — whether it’s proving to your friend that it’s technically “whom” not “who” or it’s defining a word that you’re embarrassed you don’t know — you can find your answer within the first handful of search results. The Google algorithm searches through the hundreds of millions of sites that occupy the internet, it analyzes the sites and their content, and then it provides you with results in a matter of seconds. Like any search engine, the Google system uses spiders (sometimes known as crawlers), which are automated programs that read web pages and create entries for a search-engine index. In addition, Google keeps an extensive keyword index and catalogs where those keywords can be found on the web. While useful, these indexes aren’t necessarily what makes Google special. Google distinguishes itself from other search engines because of how it ranks search results and guarantees that you get the most useful content. Those rankings, determined by a complex algorithm known as PageRank, define the order in which your search results appear. Analyzes the words in your search — The algorithm uses language models to understand the intention of your words based on context, your location, and more. Google proved its dedication by spending more than five years developing a synonym system that sorts through a word’s multiple definitions and uses context to understand your meaning. Matches your search — Once the algorithm has analyzed your words, it begins searching through its index of web pages until it finds the website that will deliver what you’re looking for. The algorithm does this quickly by looking for keywords or key phrases in the titles, headings, and content of a web page. Ranks result pages — Your search may pull up millions of pages that have some level of relevance to your question, but not all of them are equal in quality. After the algorithm has gathered results relevant to your search, it analyzes hundreds of factors to place the best possible source as close to the top as possible. 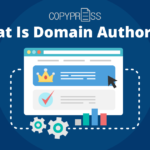 Some of those key factors include the page’s publication date, the number of times your keywords appear, whether the page delivers a high-quality user experience, whether the page is authoritative, and so on. Evaluates context — If you search for “how can I quickly lose weight,” your results may be different from your friend who searched with the exact same terms. In addition to understanding the context of individual words, the Google algorithm takes into account your own personal context by evaluating your past search history, your location, your search settings, and more. Returns the best results — After churning through steps one through four, the algorithm delivers the best possible results for you, tailored to a wide spectrum of factors. All of this complex work happens in less than a second (unless your internet speed prevents you from experiencing the true power of Google, of course). The Google algorithm is absolutely dedicated to providing users with the best possible experiences with the search engine. How Has the Google Algorithm Evolved? What began as a much simpler program, Google has evolved to meet the needs of an ever-changing internet. 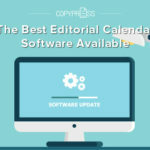 To stay up-to-date with technology and users, the Google algorithm has undergone a number of comprehensive updates to ensure that users are delivered only the highest-quality content. In 2011, Google released the Panda update, which began making extensive changes to the search engine and how marketers tailored content to Google. Panda added a “quality score” as a ranking factor within the algorithm. What defines “quality” has changed over the years, so even the Panda update has been updated to guarantee that only the best websites appear first on your search. In 2012, the Penguin update came onto the scene. Before Penguin, many businesses and websites used Google’s tendency to reward pages with many links to justify overburdening the sites with spammy and irrelevant links. Penguin causes the algorithm to down-rank web pages that have links it considers manipulative, which includes optimized anchor text in which the link’s anchor text also contains the page’s keywords. 2013 saw the introduction of Hummingbird, which put an end to keyword stuffing and the tendency it had to make awkward, low-quality content. Where the algorithm originally rewarded content that contained a high number of a searcher’s keyword — causing people to include the keyword on their web pages as often as possible, regardless of how well it worked in context — Hummingbird incorporated semantic indexing into the algorithm, which allowed it to find pages that matched the searcher’s intent but didn’t necessarily contain hundreds of instances of the exact keyword. Hummingbird helped the algorithm understand meaning and prioritize quality over quantity. Google released the Pigeon update in 2014 to better integrate location information into a user’s search. In early 2015, the Mobile update was released to optimize the experiences of the many users who make Google searches from their mobile devices. Since the release of Mobile, Google rewards a higher rank to web pages that have been optimized for mobile experience. Late 2015 saw the release of RankBrain, which expanded on the Hummingbird update and better allowed Google to understand the meaning behind user queries and deliver more relevant results. The Possum update, released in 2016, further improved location-based searches. For example, if you’re looking for the best Asian restaurant in your city, the closer you are to one of the restaurants, the more likely it will show up among your local results. And finally, Google’s most recent confirmed update, Fred, was released in 2017. Fred further helps the Google algorithm give lower rankings to low-quality content and, specifically, the content that Google recognizes as being created for the principal purpose of bringing in ad revenue. From Panda to Fred, Google has continually updated its algorithm to make it more difficult for businesses to manipulate the program and simpler for users to have the experiences they deserve. 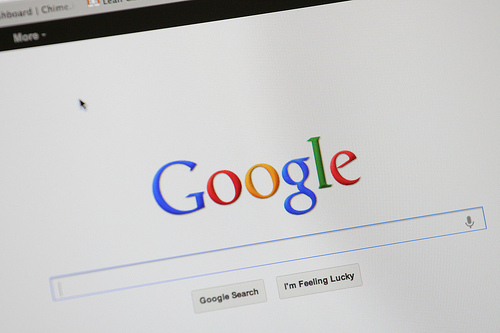 Why Does the Google Algorithm Matter for Marketers? All this is well and good and interesting, but what does it have to do with marketing? 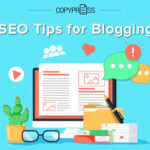 If you’ve been reading carefully, you’ve probably already noticed aspects of the algorithm and its updates that would affect how you write and publish content on your website. The reality is that the majority of your target audience is using Google, and if you want your website — which you’ve invested plenty of time and money in improving — to show up early enough that users will click on it, you need to play Google’s game. Since the Google algorithm plays a pivotal role in your page ranking, it’s also critical to consider it in the content you create. If you’re already tailoring content to provide the optimum experience for users, you shouldn’t have to worry about much. 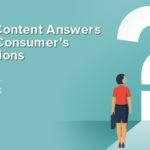 While marketers and businesses may have once been able to cheat the Google algorithm to get their pages higher rankings, the algorithm updates all but force marketers to publish what Google wants us to provide: high-quality content. How Can You Use the Google Algorithm to Your Advantage? Since the Google algorithm is built to provide the best user experience, if you always put readers first, the algorithm will likely follow. By taking into account what Google rewards on web pages and websites, you can use the Google algorithm to the advantage of your brand’s visibility and accessibility. Remember how we mentioned keyword stuffing earlier? Keywords are still a central component of SEO and content development, but the way we handle keywords has changed. Since semantic indexing can take broad keywords and entire phrases and understand the core concept those words and phrases are building, you don’t have to worry about sacrificing the quality of your sentence to stuff in a keyword. Make your message clear, and Google will handle the rest. Google will be more likely to view your website as authoritative if you have a heavy volume of content revolving around a certain subject. The more high-quality content that you’re able to give to your users, the better. 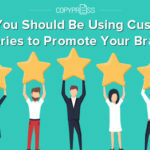 And if you’re posting that content consistently and frequently, Google will see you as more relevant and dedicated to providing your audience with valuable resources. But be careful: Do not duplicate and re-post content just to look as if you have more content than you do. Google isn’t afraid to penalize sites for such content. Include images and other media. Provide helpful links and create content that’s helpful enough that others will reference you and link back to your site. Stay current on algorithm updates and adjust your content and strategy accordingly. Google became the leader of the search engine game because it understood the needs of its users and put them first. That’s a lesson all businesses, especially when marketing, could put to good use. With Google’s algorithm in your marketing tool belt, you’re ready to create SEO-optimized content that will satisfy your audiences and bring more consumers to your door.